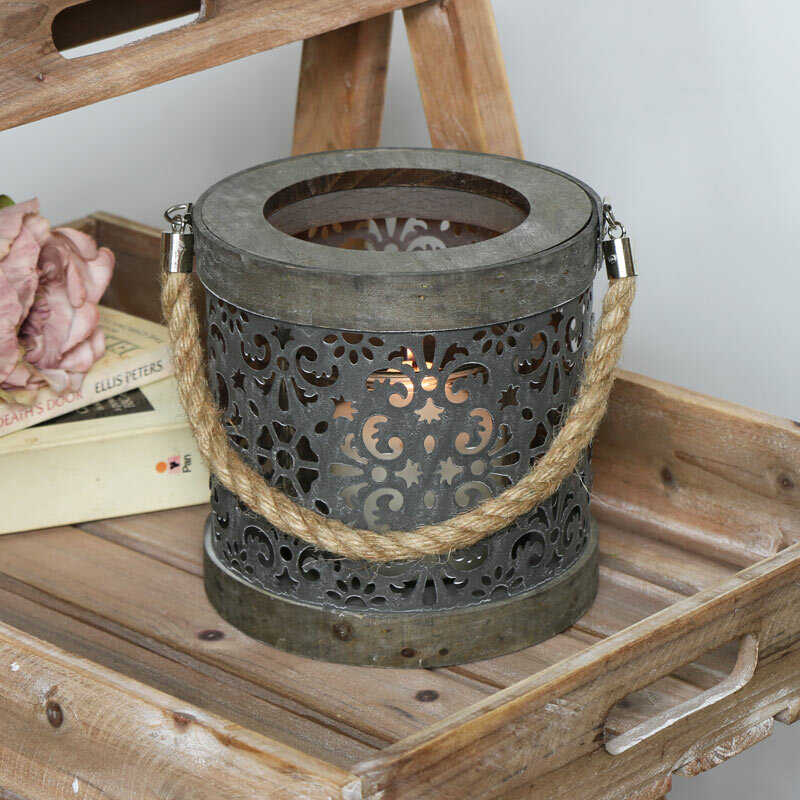 Round candle lantern with rustic grey metal fretwork and glass holder inside. A great look for a vintage shabby chic home decor or for displaying in the garden. Decorative metal fretwork encircling the lantern with wooden ring top and base. Hangs from thick rope hanger or can be used freestanding. Ideal for indoor and outdoor use. Glass hurricane holder sits inside the candle holder to protect the flame from extinguishing. 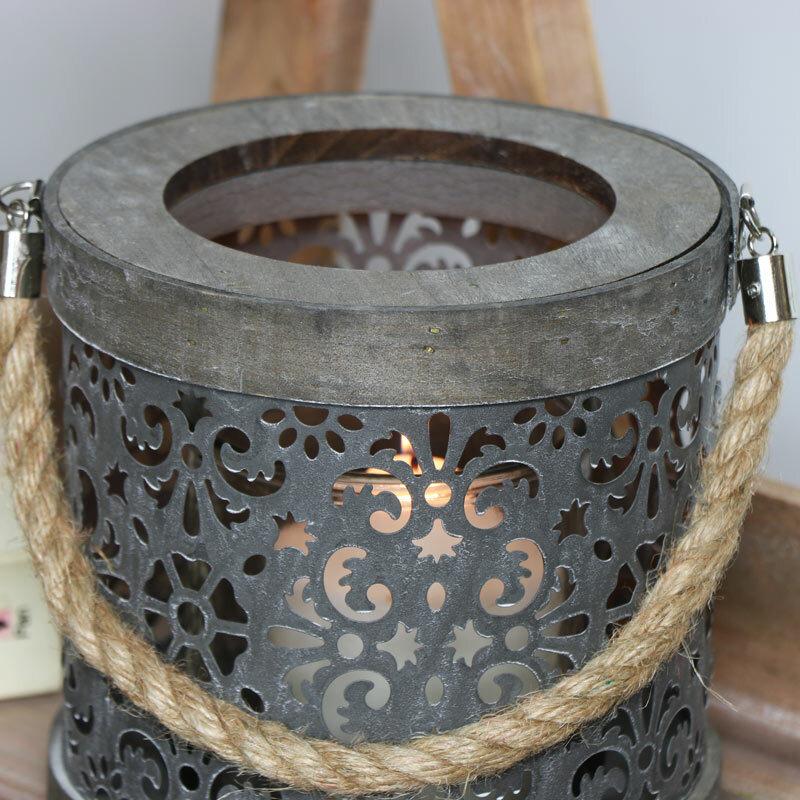 Round candle lantern with rustic grey metal fretwork and glass holder inside. A great look for a vintage shabby chic home decor or for displaying in the garden. 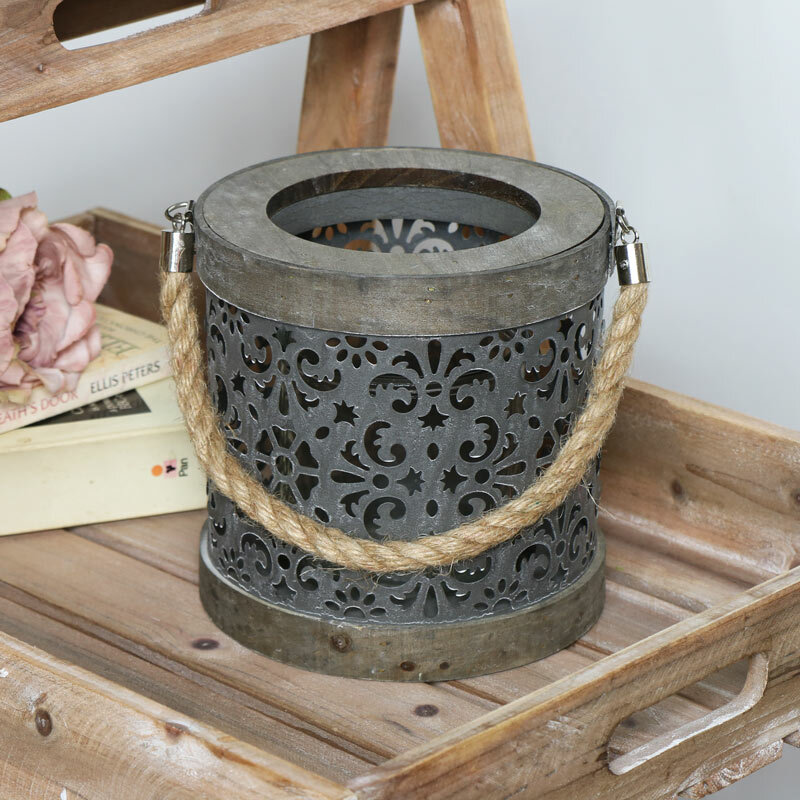 Decorative metal fretwork encircling the lantern with wooden ring top and base. Hangs from thick rope hanger or can be used freestanding. Ideal for indoor and outdoor use. Glass hurricane holder sits inside the candle holder to protect the flame from extinguishing. Constructed with rustic grey metal fretwork held between wooden top and base. Use freestanding or mounted with rope hanger. (Please note: will weather over time if used outdoors).